Florida SBDC Network Headquarters (Pensacola, Fla.) – This year, National Hurricane Preparedness Week runs May 7-13, 2017. The Florida SBDC Network, the state’s principal provider of business assistance, urges small business owners across the state to prepare for the 2017 Atlantic hurricane season, which begins June 1 and extends through November 30. According to a forecast by the National Oceanic and Atmospheric Administration, the 2017 Atlantic hurricane season is predicted to be above normal, with 11 to 17 named storms, between five and nine hurricanes, and two to four major hurricanes. This counters a below-average forecast released last month by the Colorado State University (CSU) Tropical Meteorology Project of 11 named storms, four hurricanes, and two major hurricanes. (L-R): Viola’s Pasta & Seafood owners Andy and Helen Viola with Florida SBDC at UNF consultant Marge Cirillo. 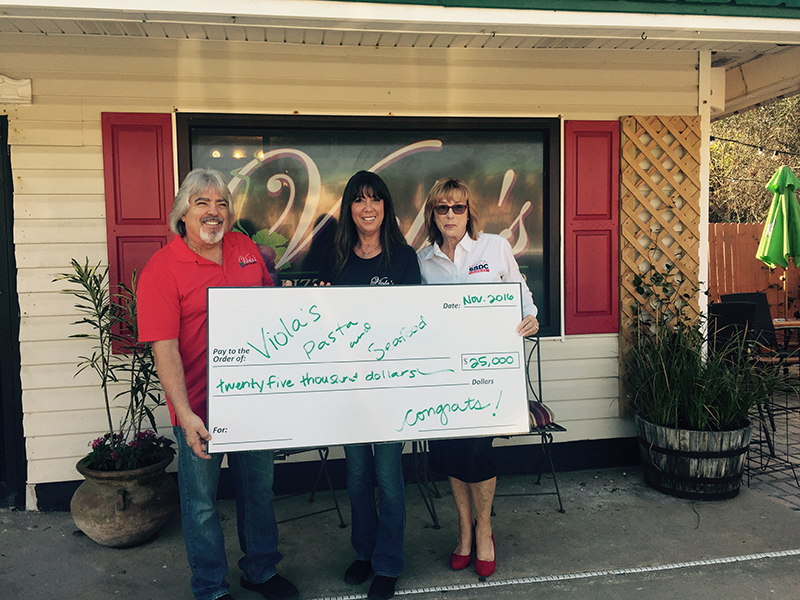 Following Hurricane Matthew, the Violas were able to secure a Florida Small Business Emergency Bridge Loan to rebuild and reopen their St. Augustine-based restaurant with Cirillo’s help. As a principal responder in the state’s Emergency Support Function (ESF) 18 for Business & Industry, the Florida SBDC Network is a key economic development organization that supports disaster preparedness, recovery and mitigation through its Business Continuation services. Through the network’s service offering, professionally certified business consultants are available to help business owners develop comprehensive business continuity, emergency preparedness, and disaster recovery plans at no cost. As part of its service offering, the Florida SBDC also offers Bizaster, a free mobile disaster assistance app. Bizaster, available in both English and Spanish for Android and iOS, features risk assessments, customizable checklists, and other resources. The Florida SBDC at FIU – a member of the Florida SBDC Network – developed the app in partnership with FIU’s Extreme Events Institute and the U.S. Agency for International Development Office of Foreign Disaster Assistance. In the event of a disaster, Florida SBDC business consultants, many of whom are Disaster Recovery Institute (DRI) Certified Business Continuity Professionals, help affected businesses prepare disaster loan applications and with other post-disaster challenges. Following Hurricane Matthew, St. Augustine-based Viola’s Pasta & Seafood Restaurant nearly lost everything—including ovens, coolers, and bar equipment—for a total replacement value of $75,000. 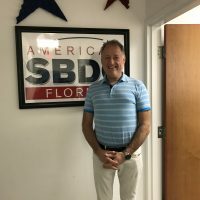 Owners Andy and Helen Viola turned to the Florida SBDC at the University of North Florida (UNF) for help in securing a Florida Small Business Emergency Bridge Loan to re-build and re-open. The network will also deploy its Mobile Assistance Centers (MAC)—38-foot RVs equipped with laptops, printers, satellite communication, and more—into communities for affected businesses to receive on-site assistance. • To learn more about National Hurricane Preparedness Week and ways to participate, please visit www.weather.gov/wrn/hurricane-preparedness. • For more information regarding the Florida SBDC’s Business Continuation services and Bizaster app, please click here. - Charles Dinsmore, Owner - Data Clique, LLC.